Oregon’s Williamson River, one of the finest wild trout rivers in the Lower 48, winds through two and a half miles of the Lonesome Duck Ranch and Resort, and over the next decade, the steelhead and salmon may be equally prolific. 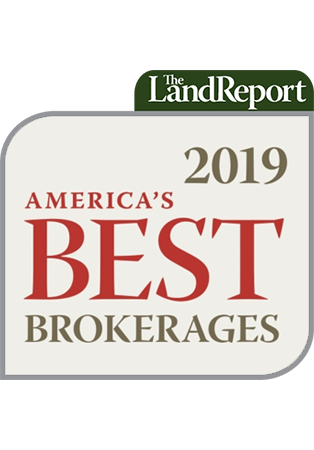 The majestic river, along with mountains views, rocky cliffs, blue skies, and green pastures adjacent to 100,000 acres of national forest, combine to make the Lonesome Duck the Land Report’s property showcase of the month. All five houses are included on the 195-acre tract, which is priced in its entirety at $4.115 million. Hilbert is also marketing the ranch as three separate parcels. The north property, at 98.71 acres, includes 1.25 miles of river frontage, three 1,500-square-foot log homes, plus an 800-square-foot ranch cottage, for $1.6 million. The middle acreage totals 66.41 acres with .75 miles of river frontage, a 4,500-square-foot main residence plus irrigation, a barn, riding arena, and multiple fenced pastures, for $2.25 million. The 30.5-acre south property features .5 miles of river frontage for $265,000. Tim O’Neil at Oregon Land and Wildlife has the listing and can be reached at (866) 559-3478. 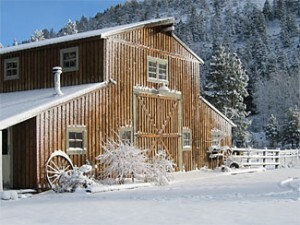 Better yet, book one of the beautiful two-story log cabins and take a tour of the property firsthand. We worked in the Williamson River watershed for several years. The trout are the size of steelhead! A buyer will want to spend time getting to know this area, but the fishery is all it is claimed and more. 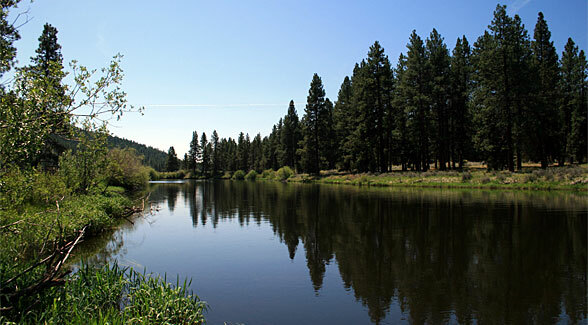 This ranch is 2 hours south of our Bend Oregon location.